Get the fancy factor without the tiptoeing from this rich, completely delicious dish. 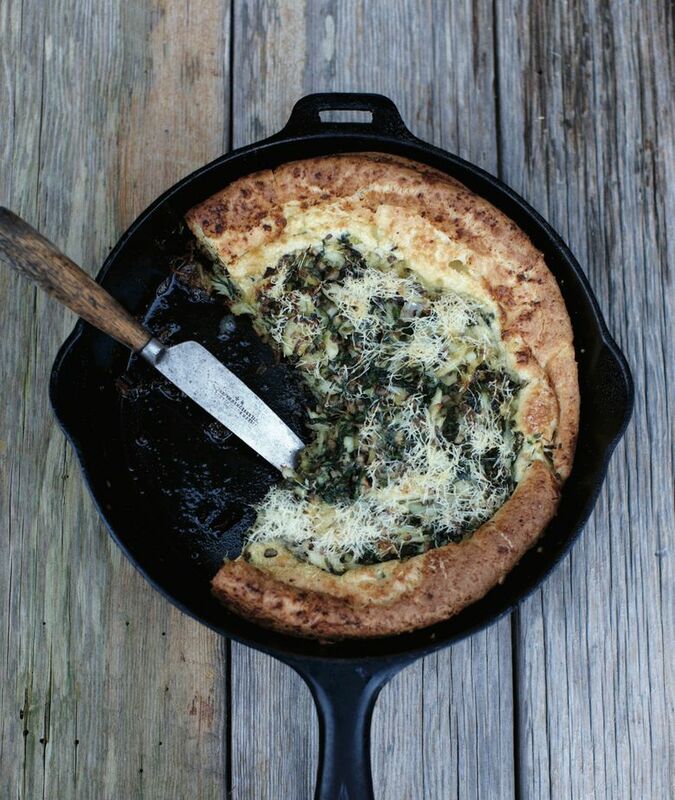 Seattle cookbook author Cynthia Nims loves this “big, super-puffy” savory Dutch baby, from her new book, “Crab: 50 Recipes with the Sweet Taste of the Sea from the Pacific, Atlantic & Gulf Coasts.” It’s got “that impressive factor” like a soufflé, but, she notes, “You don’t have to tiptoe,” and, “It always rises!” We talked about the book — and the goodness of crab in general — while making this recipe (and it is quite easy, utterly rich and absolutely delicious). What’s the most surprising thing that people will learn about crab from your book? 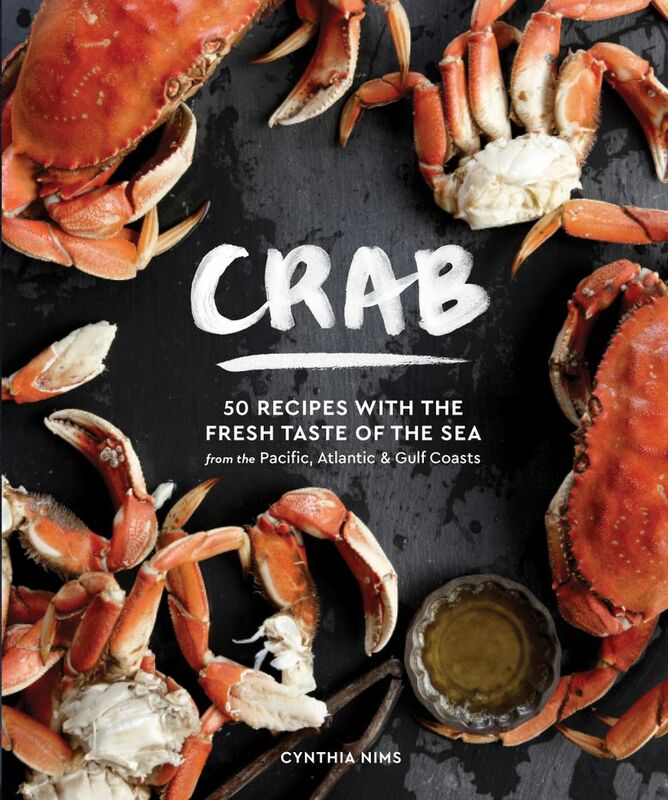 I had done a book on crab over a decade ago, and I distinctly remember being at a book signing — this is hilarious, and I’ll never, ever forget it — where a fellow came up to the table, and looked at the book, and said, “Why would you write a whole book about crab recipes, when really all you do is steam it and eat it?” Some people will be in that camp and, you know, that’s glorious — there’s absolutely nothing better than simply boiled, simply steamed crab that you just eat fresh, right away. And if that’s the only way you eat crab, there are worse things in life, right? Meet Cynthia Nims at 6:30 p.m. on Nov. 9 at the Book Larder (4252 Fremont Ave. N., Seattle, 206-397-4271; booklarder.com). But I think for folks who do want a little variety or to play around more — maybe different times of the year, using different seasonal ingredients — I’m hoping that might be part of what is a little surprising and interesting about the book. But what do you say to the people in the “Only with butter!” camp? There’s oyster purists who will never, ever put anything on a shucked oyster besides nothing at all, which is fine; that’s great. I think for a crab purist, if they’re happy, that’s great, too. I would just maybe encourage them — if they only ever, ever have it steamed or boiled — [to] start more with a cooking method variation than adding a lot of seasonings. Like grill it occasionally, or roasting crab is astonishing — the shells in the high heat, they toast a little bit, and there’s a little bit of a nuttiness and a slightly different flavor profile that you get out of the crab that you would never get from a moist cook. That might be my step with a hard-core purist: Play around with the technique. Are there recipes in the new book that you feel are especially suited to Dungeness, here, in the fall or winter? One thing I love about the Northwest is we do grill kind of year-round, [and] grilled crab is pretty amazing. In this book, I did a recipe that has the crab tossed with orange zest, and it’s got this yummy orange-rum butter that goes on as a complement at the very end. Orange certainly would travel really well into the holidays. And then you can’t go wrong with a steamy pot of cioppino — that’s a great fall/winter dish. In the original book, I had a cioppino that had other stuff in it. In this version, I realized I just wanted it to be all crab — forget the shrimp and the pieces of fish and the sausage, or anything else. And one of my all-time favorites is super-simple: It’s rosemary roasted crab. So you have fresh rosemary sprigs, sliced lemon, chili peppers, some fresh garlic, and you just put it all in a big oblong pan with the crab and roast it in the oven. Not only is it delicious, but nothing smells better than that combination of the lemon and rosemary and garlic that’s been baking. What are your true feelings about the best kind of crab? As objectively as I can state it, Dungeness just wins. I have been fortunate enough, as I talk about in the book, to be up on Kodiak Island and have king crab that came literally right out of the water, and that was a once-in-a-lifetime experience. But even then, king is so rich; it’s delicious, but it’s got a real richness to it. And I just like the purity, the clean flavor that Dungeness has. And yet it’s still got character. With respect to our East Coast friends, who grew up on blue crab — and we’d have a smackdown over blue crab and Dungeness — blue, to me, is almost too mild. It’s a little more sweet, and it doesn’t have quite as much personality to me. So I find Dungeness, honestly, between king and blue, seems to have that real perfect balance. 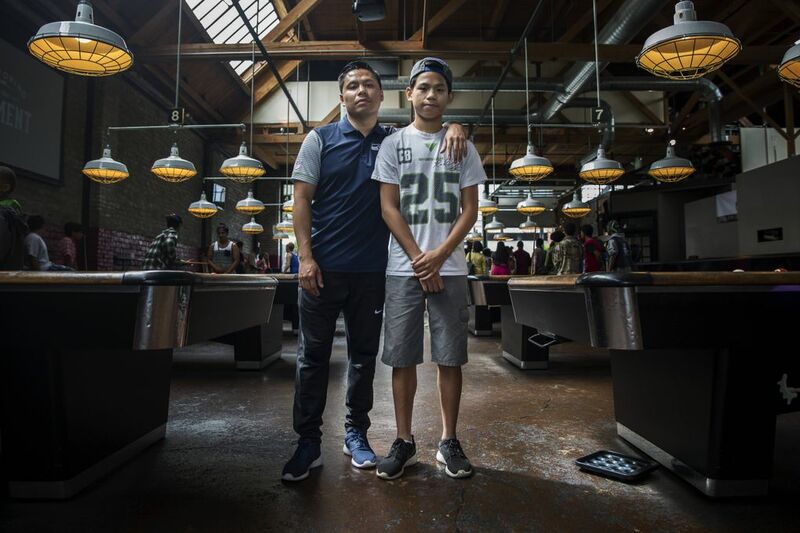 The size is great, too: It’s two pounds; it’s not eight pounds or four ounces. And it’s easier to pick. Granted, I did grow up here. 2. Pick over the crabmeat to remove any bits of shell or cartilage. If using king or snow crab leg meat, cut it into medium dice. If any of the other meat pieces are quite large, break them into a few smaller pieces. Squeeze the crab gently to remove excess liquid. 3. Melt 1 tablespoon of the butter in a medium skillet over medium heat. Add the mushrooms and green onion and cook, stirring occasionally, until tender and any liquid given off by the mushrooms has evaporated, 3 to 4 minutes. Transfer the vegetables to a medium bowl and stir in the crab, then stir in the spinach with a good pinch each of salt and pepper (the spinach will wilt slightly, which is the plan). 4. Put the remaining 6 tablespoons of butter (in one single piece, not cut up) in a 10- to 11-inch cast-iron skillet, and put the skillet in the oven to preheat while making the batter. 5. Blend the eggs in a blender on high speed for 30 seconds. Add the milk, flour and salt, then blend for 30 to 60 seconds longer until very smooth and evenly blended. 6. When the butter is fully melted, take the skillet from the oven, and gently pour the batter into the center. Scatter the crab mixture over most of the center, leaving the outer 1-inch perimeter of the batter free of crab. Sprinkle the Parmesan over the crab, then return the skillet to the oven and bake until well-puffed and nicely browned, 20 to 25 minutes. 7. Set the skillet on a trivet in the center of the table, and cut into wedges to serve. Or simply cut it in the kitchen and serve. Excerpted from “Crab,” courtesy Sasquatch Books.